Reed & Barton ~ Lyndon ~ Steak Knives, Set of 4, Price $50.00 in New York, NY from William-Wayne & Co. 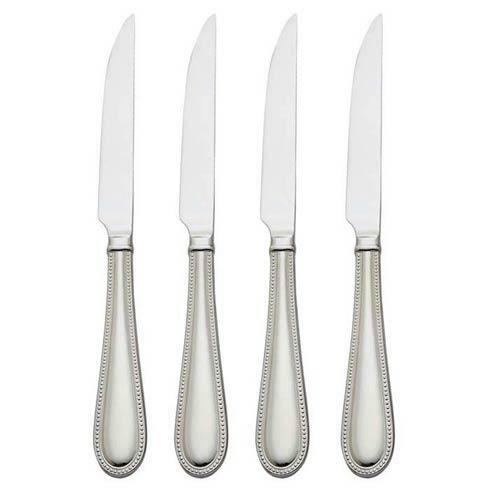 Featuring a classic beaded design on the handle, the Lyndon Set of 4 Steak Knives from Reed & Barton offers style and grace to any setting. Made of durable 18/10 stainless steel, this serving set provides functional, easy care essentials for both casual and formal entertaining. Measures 9 3/4 inches in length. Elegantly boxed for gift-giving.